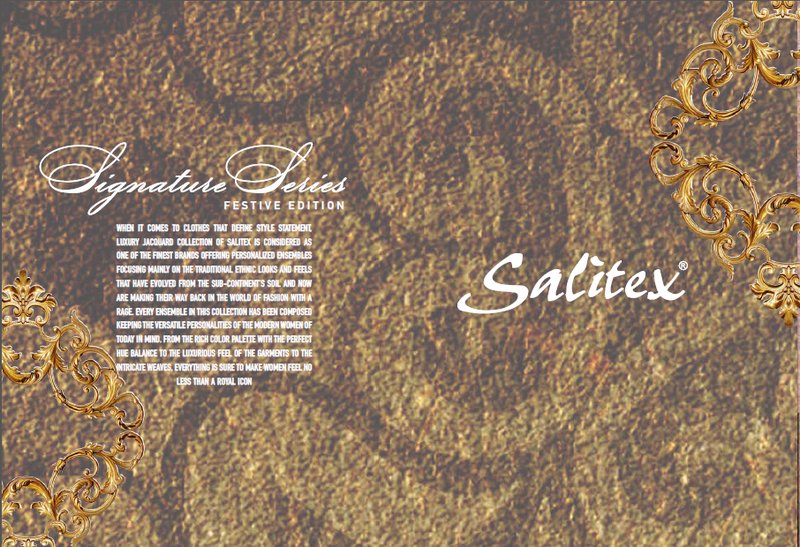 Finally The Wait Is Over, Here Comes The Most Demanding Catalogue Of Salitex by Mega Sections. 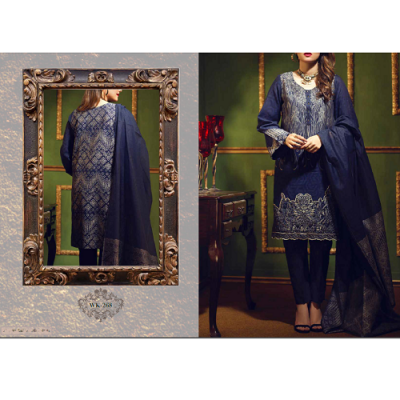 Be on the top of trendsetters this season by choosing this dynamic ensemble pick fused with top fabric and enthralling hand work embroideries from our Signature Series Festive Edition Embroidered Collection. 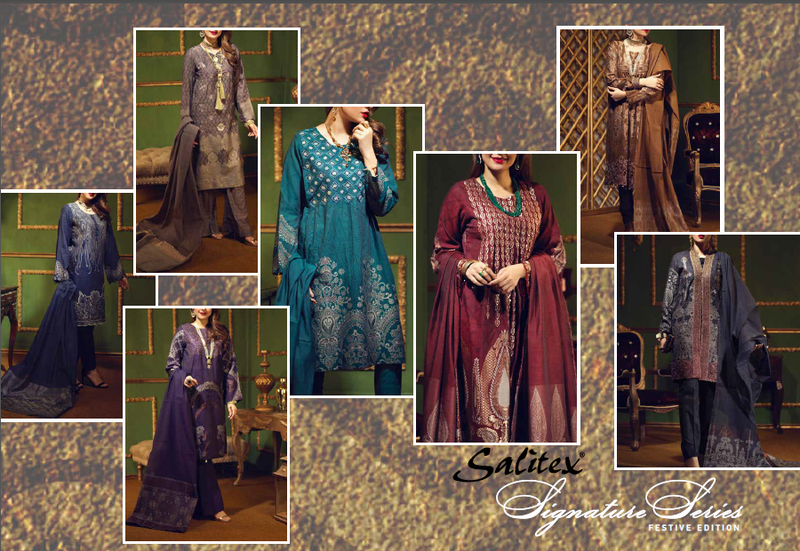 Two Tone Dyed Yarn Jacquard Shirt with Exclusive Heavy Embroidery Two Tone Jacquard Dupattas, & Textured Trousers.